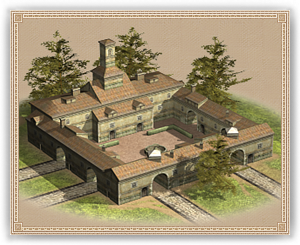 A Minor University can upgrade the weapons of any siege or missile unit, as well as offer a higher education to characters created here. A University can upgrade the weapons of any siege or missile unit, as well as offer a superior education to characters created here. The Center of Learning offers its students education on specific subjects depending on the availability of scholars in the area.